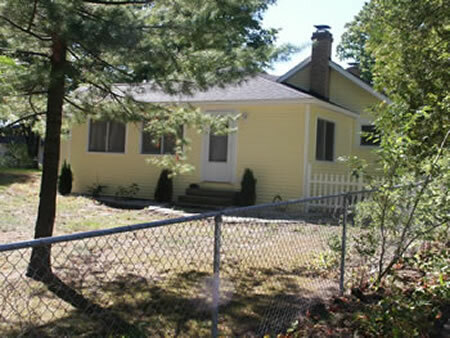 Ranch style rental with 4 bedrooms, 2 baths. 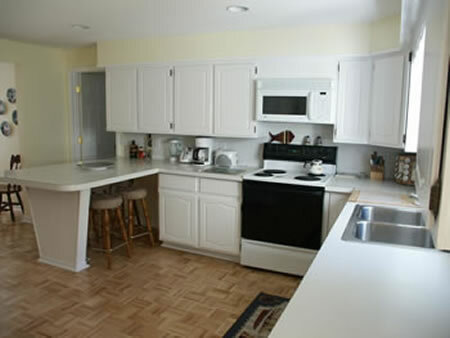 The kitchen is open concept and equipped with two ovens, a microwave, dishwasher and basic kitchen needs. 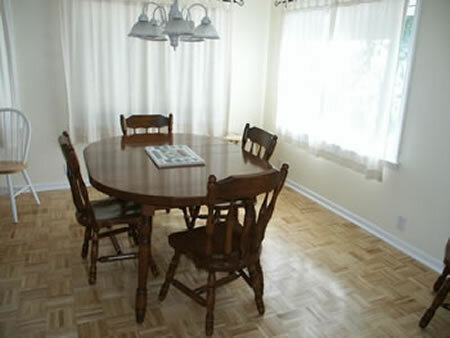 The dining area tables accommodate ten adults and the kitchen area includes a snack bar with four bar stools. 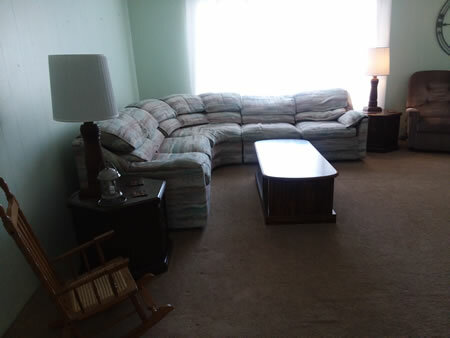 The living room is spacious and equipped with plenty of seating, a cable TV and DVD player. A small library of DVDs is available for use. WiFi is also available for our rental guests. The children’s library area in the den includes books, games and some crafts. 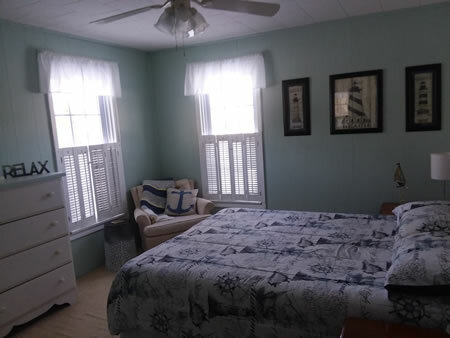 With a total of four bedrooms, each includes a queen bed. 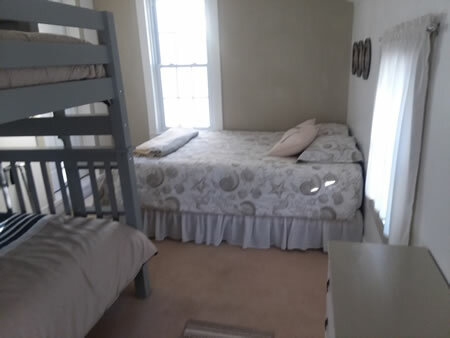 Besides the queen bed in the fourth bedroom there is also a full size bunk bed set (2 fulls). 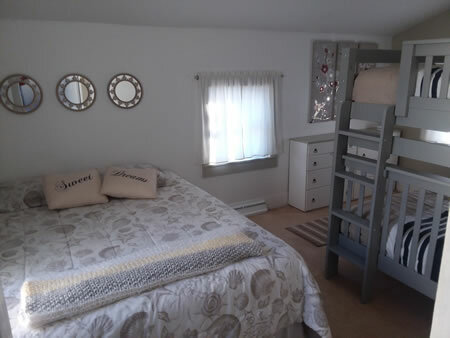 Dressers and luggage racks are available in each bedroom. 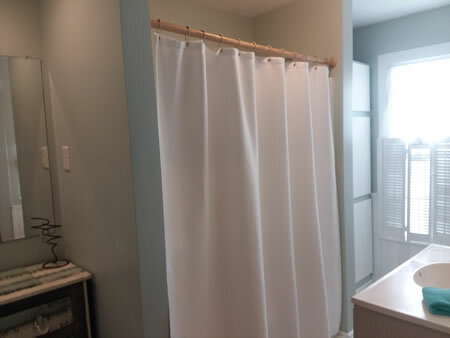 The master bath has a stall shower and the main bathroom has a tub/shower combo. 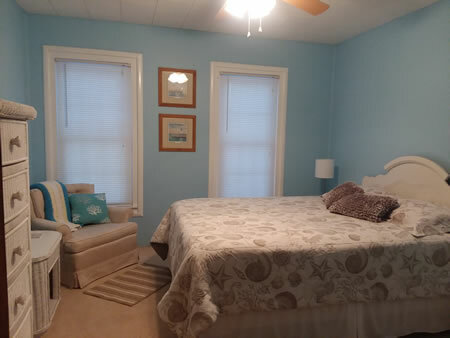 The laundry room includes a washer, dryer, iron & ironing board. Two portable fans are available for use. The outdoor area includes a large open deck. A fire pit, gas grill, picnic table with chairs are also available. 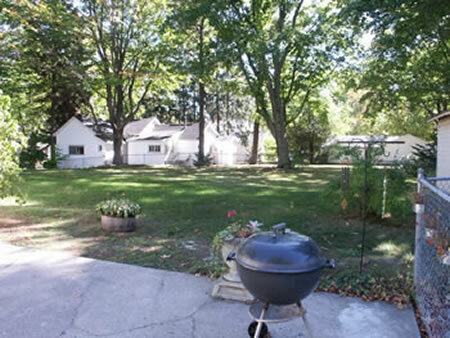 This double lot rental is fenced for added security. 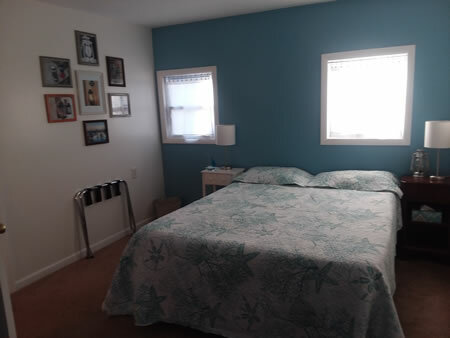 “Our Place” has recent new owners. Some cosmetic upgrades have been made and a twist of ship and lake décor have been added. 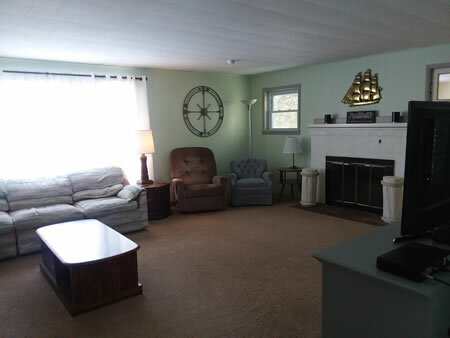 “Our Place” hopes to bring a welcoming and relaxing atmosphere during your stay. We ask that respect be shown to this historical 1884 home as our guest.